SRI LANKA – Mr. Teo Tian Hua has represented TCI to Sri Lanka to visit the Sri Lanka International Power and Electrical Exhibition held on 10 – 12 August 2017 at the Sri Lanka Exhibition and Convention Center (SLECC). The exhibition is 4 in 1 exhibition consisting of building and construction, water supply and treatment, power and electricity expo and HVAC. 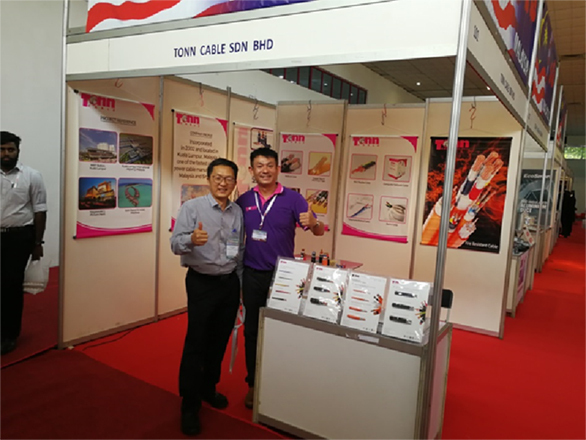 Tonn Cable and Leader Cable are cable manufacturers from Malaysia who have participated in the exhibition.